If you notice that the air coming out of your vent/duct system is not cooling, your ac system’s refrigerant levels may be low and there will be a need for refrigerant charging. If also the air conditioner is not cooling your home or office facility, a refrigerant charging may be all you need. At All Week Air Conditioning we always have a big inventory of freon and r22 refrigerant available on hand, and our emergency crew is available 24 hours to assist homes and businesses with refrigerant recharging needs. Low refrigerant levels in your air conditioner could be as a result of leaks in the system which reduces the ability of the ac to function and cool effectively. The leak can occur at any point in the ac system and getting a professional technician to detect this leak is the best bet for you. 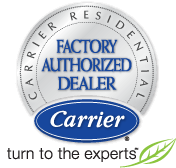 Selecting the Right Refrigerant For Your Air Conditioning System And Recharging Your AC Right! There are lots of do it yourself (DIY) charging kits available for sale and this does not mean anyone you get will necessary fit your ac system. Depending on your type of ac system, brand and model, its refrigerant will differ. A wrong charging could cause damage resulting in complexities that will be expensive to fix. R-410A (often referred to brand name such as Puron, Suva 9100, or Genetron AZ-20. Suspecting low levels of refrigerant in your AC system, that’s not performing right? Our AC service specialists can diagnose and identify the root cause of your air conditioner or hvac system malfunction. If your suspession is right, the technician will inform you of the quantity of refrigerant need to fill the system to its cappacity, as well as the type and best quality of refrigerant. All precautions will be taken to make the recharge process safe for your home and environment. Contact All Week today if your ac system needs refrigerant recharge or has any other problems. We provide quality and timely services at friendly rates to meet your homes’ comfort needs.